The New Mexican Sopaipillas Recipe is common in Hispanic culture and is a favorite among many Hispanic cuisines. Sopapillas can be served salty or sweet. 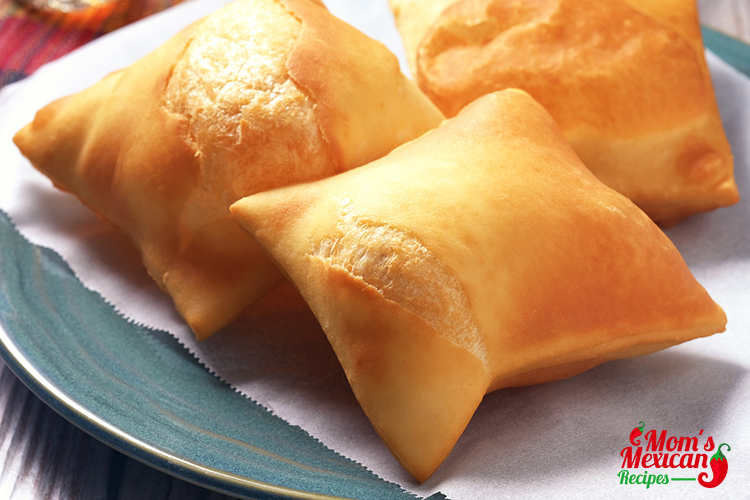 Sopapillas are thought to have originated in Albuquerque, New Mexico, more than 200 years ago. 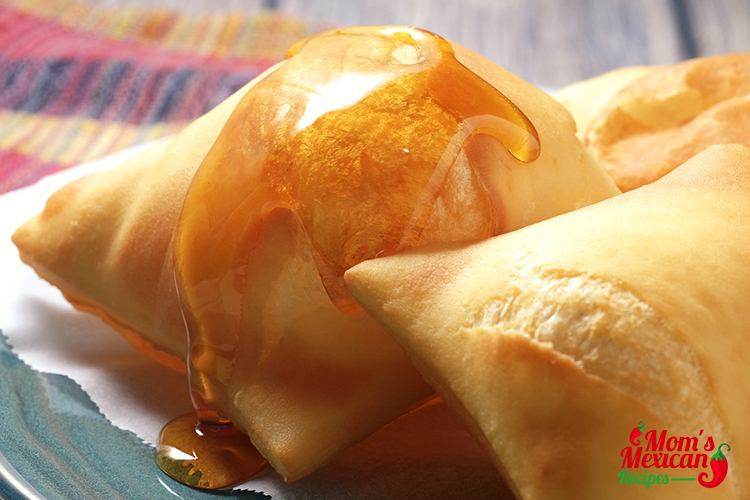 New Mexican sopapillas are made from Tortilla-like dough. The dough is fried until it is puffy and a small air pocket appears within the pastry. In New Mexico, Sweet Sopapillas are often covered in honey or some kind of syrup and powdered sugar. 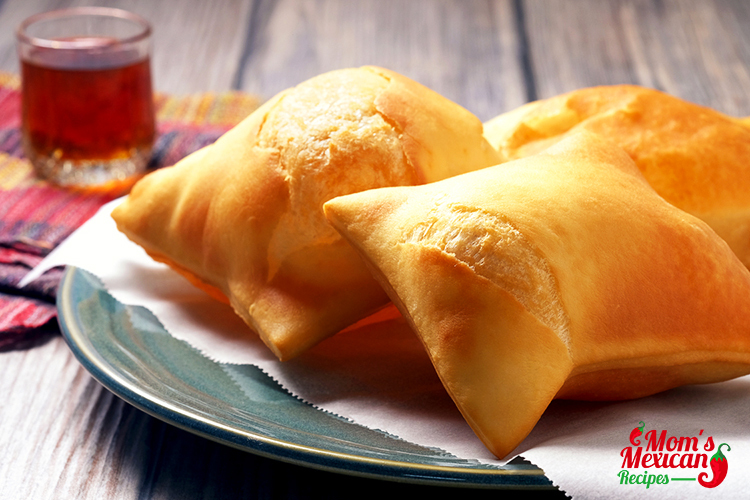 Did you know that the word “Sopaipilla” is the diminutive of “Sopaipa”, a word that entered Spanish from the Mozarabic language of Al-Andalus? New Mexican Sopaipillas Recipe is a delicious food that you can eat and match it with vanilla ice cream, it is so easy to prepare the first step is; In a large bowl, stir together flour, baking powder, salt, and shortening. Stir in water; mix until dough is smooth. Cover and let stand for 20 minutes. Then the second step; Roll out on floured board until 1/8 to 1/4 inch thick. Cut into 3-inch squares. Heat oil in deep-fryer to 375 degrees F (190 degrees C). Fry until golden brown on both sides. Drain on paper towels and serve hot. 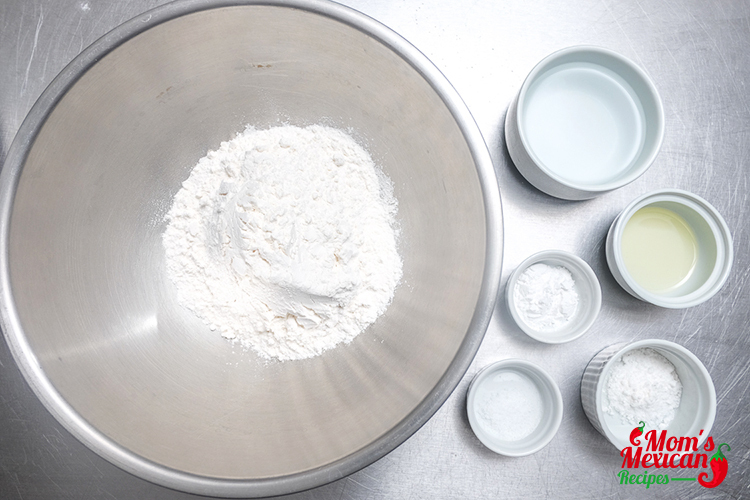 In the bowl of a stand mixer (or a regular mixing bowl if making by hand) whisk the flour, baking powder, salt and sugar together. Create a small depression in the center and pour in the 2 tablespoons of vegetable oil. Gently pour in the warm water and knead the dough until it is smooth. It only takes one to two minutes using the dough hook in a stand mixer. 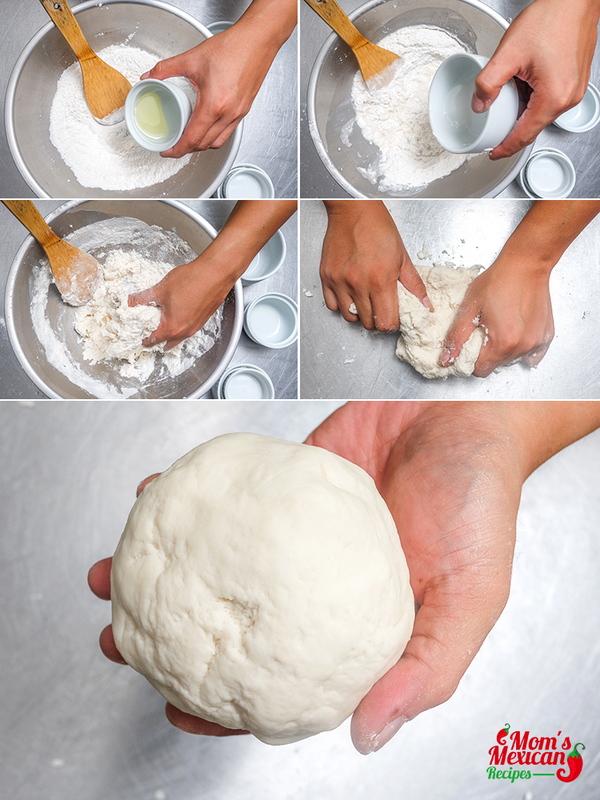 If kneading by hand, gently knead in the bowl until the dough sticks together. Place on a lightly floured surface and continue until the dough is smooth. 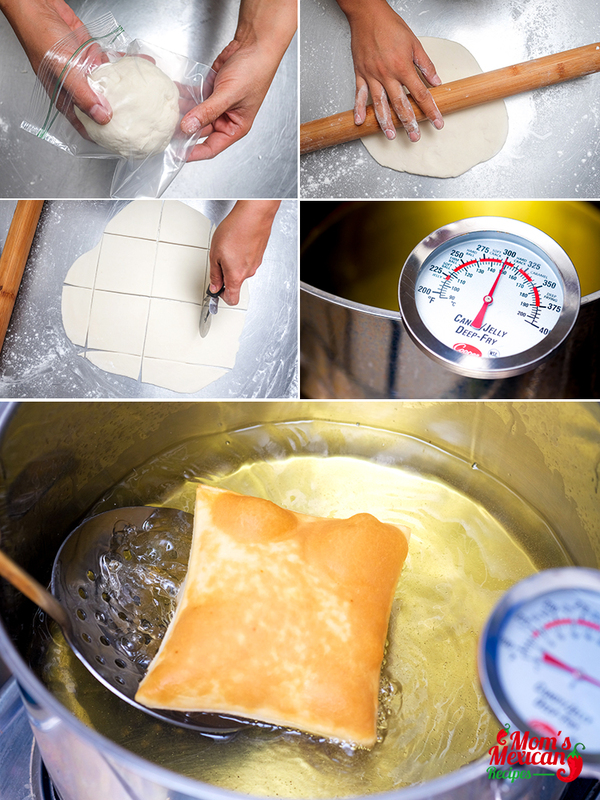 Divide the dough in half, and seal each half in a zipper lock bag to rest the dough while you heat the oil for frying. Heat frying oil in a stove top dutch oven, or in a heavy-duty frying pan, to around 340 to 350 degrees. The oil should be at least 2 inches deep. Remove one portion of dough and roll out on a clean, flourless surface. Roll the dough to a thickness of ⅛ inch. Using a pizza cutter, cut the dough into squares approximately 4 X 4 for a nice restaurant look. Place a sheet of plastic wrap over the rolled out dough. It's very important the dough stay moist and not dry out. Gently place an individual square of dough into the hot oil. It should begin to puff up within about 5 seconds. Carefully splash oil over the top, this really seems to help the sopaipilla puff. Once it's finished puffing up, fry until it reaches a light golden brown on both sides. Place in a large bowl lined with paper towels. Use adequate oil. You want at least an inch depth of oil to fry in. Contrary to what some believe, more oil in the pot means less oil in your food, because the temperature stays more constant, and the food finishes cooking before it begins sucking up oil. You need a candy/fry thermometer. Don’t trust strange voodoo methods like timing the cooking of bread cubes. Don’t trust your electric skillet’s temperature controller (mine is off by about 75 degrees!) Spend $10 and buy a thermometer. There’s no excuse to guess at the temperature when it’s so cheap and easy to measure it. Don’t overload the oil. When I made these, I was frying no more than 2 sopapillas at a time. Putting food into hot oil is like dropping an ice cube into a warm beverage — the food is going to cool the oil around it. Putting a lot of food in will dramatically drop your oil temperature. This is especially bad if you’re also violating point #1 and not using enough oil. Thanks for this easy recipe. I had a nit of confusion about the amount of oil to add…1 tablespoon as called for in the ingredients or 2 tablespoons as called for in the directions. I started with 1 tablespoon and it didn’t really seem like enough so I used 2 tablespoons. Came out pretty good. I did use a stand mixer. I got beautiful puffs from some but not others. The ones that didn’t puff got rolled in cinnamon and sugar. I doubled the recipe to ensure I had enough, a single batch wouldn’t have fed my family of six. I made Stuffed Sopallias. Thanks again for the recipe. It’ll make a return appearance soon. It was really easy. They came out good. Family enjoyed them. Thanks!! !